Did those knights wore skins over their armour like the cloack shown in the picture? What weapons those men-at-arms used? A friend told me that Gothic armour were still used during the first 25 years of the 16th century, and they wore surcoats too... Do you know if it is true? Do you know if there is any woodcut (And where) showing that? Where have you fund the claim that the Swedish nobility was too poor to aford amour? It certainly isn't supported by any research I know of. The poverty of Sweden as whole at this time only limited the size of the wealthy class who could equip themselves in this fashion it did not remove that group altogether. While we have no detailed data on how many "men-at-arms" the Swedish nobility could provide in the 15th Century there are detailed informantion from 16th Century. In those years the Swedish nobility was required to provided close to 1200 men-at-arms in return for the freedom from taxation. However the largest number of men-at-arms servign in the field at one time was 642. To this one must add the men-at-arms of the Royal household troops, durign the time in which lance armed men-at-arms were in used these numbered 200-300 MAA mantained by the King using his own resources. So eve a maximum effort could not provide more than 1000 men-at-arms with 500-600 MAA serving in the field at any one time being a more likely number. Rodolfo - of course medieval Swedish men-at-arms could afford and did use armour! It's true that Sweden was a poor country that couldn't sustain a large number of fully-equiped men-at-arms (I believe there were only some 600 men-at-arms at any time), but those who could afford full harness bought the best available to them. I won't comment " much " about the poorness of Swedish Knights but this might vary, if true, depending on which century and even the poorest nations have very rich rulers even if they may be very few in numbers, but apart from just being sceptical I don't have the knowledge to say anything more about this part than just giving a totally unsupported opinion. As to wearing a cloak or fur lets remember that in winter just wearing " COLD " steel might kill you long before any enemy could ? Also a cloak could be discarded at the last minute before a fight or battle. Actually, how did Knights deal with extreme cold when wearing plate ! I have the same book and reading the text describing the images on plate F there seems that the wearing of full maille hauberks below plate instead of just small voiders of maille filling gaps in the plate was still popular much like in the transitional armour period earlier ( 14th century ) in most of Europe south of Scandinavia. Very much armour overkill ! A cold climate making this more appealing than under the hot Sun I would think. Oh, all this depending on how accurate the depictions are in this Osprey book. I would guess with thick wool under the armour. Or not as much armour as in the summer. Last winter we had a small show at Gene Fornby, Sweden and it was like minus 14 degrees Celsius out and we had to have extra soft hats under the roman helmet not to freeze our ears of. Otherwise it´s just like my grannie said, no winter is too cold it just a matter of layers of clothes. Sorry, i guess i went too far with that generalization. Just for curiosity, Is that armour a mix between Milanese and Gothic style? While we have no detailed data on how many "men-at-arms" the Swedish nobility could provide in the 15th Century there are detailed informantion from 16th Century. It's mostly smooth surfaces, so I'd say more Milanese than Gothic. But I'm no expert. 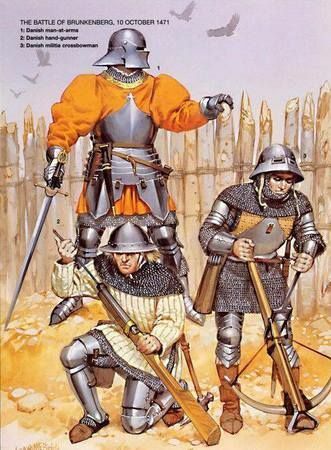 As for how 16th-century Swedes would look like: yes, they'd look very much like other European men-at-arms of the period, and it's safe to assume that some would have worn cloth bases, jupons/lentners, or tabards. Some of them would also probably have begun to join the alwhyt/all-white trend of wearing the armor without any cloth covering. So true, Try wearing that in Houston! Instant oven! BTW, I have worn a padded gambson at 20 f and it was comfy. As others already said, the fact that Sweden a poor country to western medieval standards doesn't mean that there wasn't NO rich people living at it. That will simply mean there were lesser rich people there, so it was possible that swedish armies would tend to be lesser well-armored than, for example, a german one. 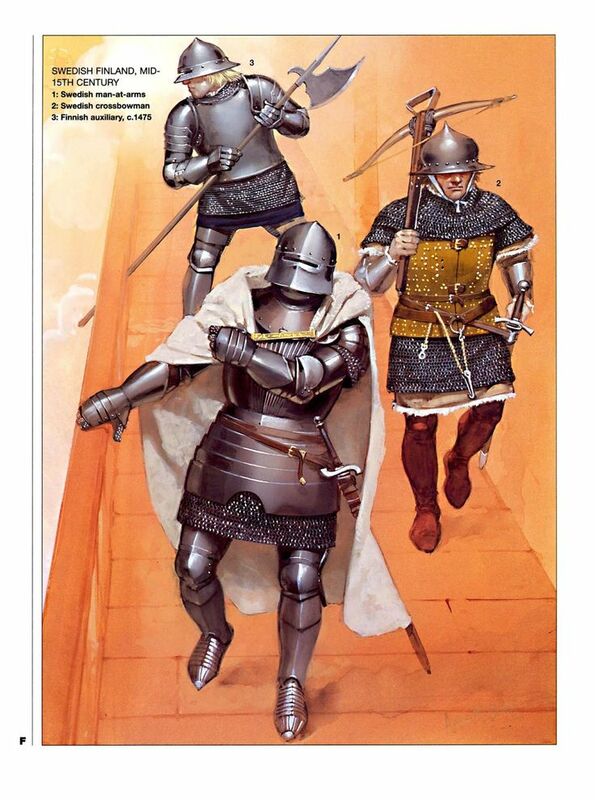 Armor was, of course, expensive, but affordable enough for any squire, knight or men-at-arms to have one. Swedish nobility actually spent more resources at building castles, ships or waging wars than actually buying armor or preserving armor for themselves. If you look at Paul Dolstein sketches of his campaigns in Scandinavia, he shows Swedish men-at-arms with contemporary (or perhaps a decade older) full armor. There are also an example of imported armor from Germany to a 16th-century Swedish king. When an army from Catholic Europe shows relative lack of armor, the reason usually rests on cultural factors rather than actually poverty: Ireland, for example, only adopted armor due to norman and Viking influence somewhere in 12th century, and even so they never went as far as the basic mail hauberk and padded gamberson; even if a Irish chieftain had enough money to actually cover his gambeson with silk imported from Scandinavia and ride a very expensive horse even to English standards. Scottish Highlands usually had similar standards for heavy armor. 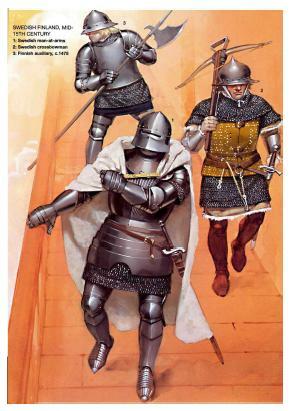 In Spanish Kingdoms, although some of the nobility actually had the newest harness and the poorer nobility had outdated armor, most of the infantry and poorer classes usually fought with little-to-any armor (in 1385's Castillian Ordinnance, neither the javelinmen nor the crossbowmen were required to have armor). The obligation of fielding 1,200 men-at-arms was froom fifteenth or sixteenth century? In sixteenth century the heavy cavalry lost most of its importance (unless in France), so I don't know with we could actually use this a acurrate mirror to the earlier century. There aren't no other description regarding the number of men-at-arms Sweden was fielded in battle? Also, the 200-300 strong household knights was actually a fairly common number to late-medieval western armies. England had one with similar numbers. I don't know any reference for underneath extra-clothing, but the Swiss usually drank more wine and local sorts of alcoholic beverages to counter the marches in cold winter. I partially agree with you here. Yes they didn't have the good stuff like the Romans but they were still well equipped. The only thing they lacked was clean food and water. That's why most soldiers back in the day drank a whole bunch of beer because it was 'cleaner' than water. Sweden was poor compared to the Polish-Lithuanian Commonwealth, particularly in the 16th Century. The Commonwealth was much richer in farmland, population and trade. The thing was that Swedish state created by the Vasas had much more control over Sweden and it's resources while the Polish King has little control of finances without the support of the Sejm. So the Swedish Crown could mobilise Swedish resources and population in a way that no King of Poland could do with the greater riches of the Commonwealth. Denmark-Norway probably had a small edge in population at the start of the period thanks to Denmark having the best farmland in Scandinavia and that farmland also made the country as a whole richer. But the greatest asset was the toll levied from any and all ships entering the Baltic through the Øresund, this made the Kings of Denmark very rich without having to depend so much on the Privy council and aristocracy for taxes and money. His son, King Erik XIV increased both number of cavalry to be provided and enforced much harsher punishment for not providing cavalry. King Erik actually enforced that nobles who did not raise cavalry lost their noble status. (Noble status in Sweden was by law based on providing armed mounted service for the King, a titled nobility did not exist prior to introduction of noble ranks by the Vasas in the 16th Century) King Erik demanded 875 cavalry from Nobility in Sweden in 1563 but only 566 turned out, a second muster brought the number to 642. When you include Finland and a few special recruitment categories the number of cavalry demanded from nobility in the reign of King Erik was 1181. You also had cavalry supplied by Duke Karl and Duke Magnus (the King's brothers) but those were Reiter style cavalry rather than men-at-arms and the troops were enlisted paid soldiers, not nobles performing a form of feudal service. And heavy cavalry was plenty important in the 16th Century, you will find that the Emperor raised them in large numbers for his campaigns as well. Depending on which list you look at the Emperor had 14000 or 17000 cavalry in the St. Quentin campaign and of those 4500 were Gendarmes of the Ordonnance Companies from the Netherlands. In addition you had more heavy cavalry among the cavalry supplied by Germans and so on. Even in Trade?The King of Sweden hadn't more control over the Hanseatic League than other monarchs of the Northern Seas? I though the Vasas and the Reformation could push the country to better grounds after all, as Sweden was launching crusades and military campaigns against the Rus and other enemies since middle ages, but it only gained good foot after the 16th century. I find an 1890's graphic showing european wealth per-capita in various Western European Nations (from Portugal to Austria and from Scandinavia to Italy). There, Denmark was the most rich of Norse, then followed by Sweden and poorly accompanied by Norway (richer only than Portugal and Italy at that time). Was Norway always that poor compared to local neighbors? Had Norway essentially the same problem of Sweden regarding farmland? Portuguese ships were all made of Swedish timber or other imported Scandinavian wood, I also read about the iron exports, who apparently were on demand in armor workshops. At Visby and during the 1502-1506's war, the Danish king is recorded bringing large numbers of German mercenaries with him. But did he raised more native men-at-arms than Sweden, since his kingdom had more resources? Those might be cavalry crossbowmen instead of infantry ones. A. If you look at Paul Dolstein sketches of his campaigns in Scandinavia, he shows Swedish men-at-arms with contemporary (or perhaps a decade older) full armor. There are also an example of imported armor from Germany to a 16th-century Swedish king. I assume you are thinking of this image? While the Osprey says that it portrays as Landsknecht fighting a Swedish knight/man-at-arms there is no evidence of this in the original document. Dolnstein never wrote any text on this image which told us what it shows and when and where it took place. I doubt that it shows a Swedish man-at-arms, bulk of Swedish noble & professional troops was elsewhere as the main body of the army of Swedish regent Sten Sture and his allies had been involved in the siege of Stockholm, blockade of Kalmar and later on the campaign in Finland. Troops involved in fighting at Elfsborg on the west coast of Sweden were local levies. Also the dress of the Landsknecht is very elaborate compared to that seen in the other images of Dolnsteins experience in Sweden. It fits better with clothes seen in images from the Landshut war. The best study by far of Dolnstein's images is Danielle Mead Skjelver's ""There I, Paul Dolnstein, saw action." The Sketchbook of a Warrior Artisan in the German Renaissance", it not only provides by far the best photos of the sketches (in colour rather than the black&white of the Osprey and intact rather than cut into smaller images) but also has an excellent analysis of each image and the subject it shows. I was thinking: couldn't be the case of the nobility actually providing similar numbers to 1000-1200 but the Crown doesn't putting them in only one place? Like having different detachments, for castle garrison or for employing a second army at another place (like in the example you mentioned regarding the Siege of Stockholm, the Battle of Elfsbourg and so on). Also, doesn't help examinating the numbers of swedish men-at-arms if we don't know how large swedish and scandinavian armies usually were. I couldn't find a single reference for that exempt for two occasions: the Battle of Visby were 2,500-strong soldiers under Valdemar of Denmark fought slightly superior numbers of gotland farmers and the Dolstein's mention of some 14,000 swedish farmers attacking some 1,800-2,000 landsknecht mercenaries (I couldn't find a reference for the rest of both armies, if there were more in first place). Do you know something of this subject? 639 was the entire cavalry composed of both men-at-arms and mounted crossbowmen? I believe you mentioned 600 being the largest number of men-at-arms ever raised in a single occasion, so I believe these is a totally different occasion from he 1537's one. The second muster was held months later? If it was the case, then the problem was perhaps that Swedish nobility couldn't provide large numbers of cavalry at once, but certainly at small spaces of time. If noble status was granted by means of providing mounted service, anyone who had full armor and war horse could actually be admitted in the nobility as a squire or knight? The same applies to barons and earls? Due to the destruction of Swedish medieval archives by fire in 1697 we have no numbers for the 15th Century except then unreliable ones found in chronicles but the bits and pieces of evidence we do have is that actual number of heavy cavalry raised in 15th Century was lower but the nobility kept a larger number of "light cavalry" retainers for use in internal Swedish fighting that was very common in much of this period. How exactly unreliable? So usually the number of mounted crossbowmen was greater than of men-at-arms like in the English Indentured Specifications of 1:1, 2:1 or even 5:1 mounted archers for each men-at-arms? On paper the answer is yes Of course the law as written down on paper and as actually practiced was two diffrent things but in order not to write an entire essay on the subject the answer is yes. Basicly anyone with the right horse and armour could lay claim to noble status by turning up to one of the anual musters that were supposed to be held in order to check that the nobility had the right kind of horses and armour to fullfill their duty. But once you had claimed noble status you had to mantain it and that was expensive, even more so after we get to the 16th Century. So at the top of the peasant class there was a group of men just as wealthy as the low nobility who did not claim noble status but were rather content remain "peasants". Also by the time of the 16th Century the ability to gain noble status simply by providing armed service was probably gone as there is no evidence of men gaining noble status that way and in time the law would change to reflect this. Swerdish nobility was diffrent from European in several ways, for example the rank of knight could only be confered by the King in person and it was not inherited. So for example in 1497 there was only a single man in Sweden with the title of knight because Sweden had not had a king for many years. The Hanseatic League had the advantage through out the 15th Century and dominated Swedish trade without the Kings Regents of Sweden being able to do much about it, even the Kings of the Kalmar Union came up short against the Hanseatic League and that was with Danish seapower being much stronger. It is only in the 16th Century that the Vasas can break the Hanseatic Leagues dominance thanks to superior state control of Sweden and the navy that was built up with help from the Hansa to be used against the Danes. Also the Hanseatic League was in decline during the 16th Century so the balance of power shifted even more rapidly as Swedes grew stronger while they got weaker. 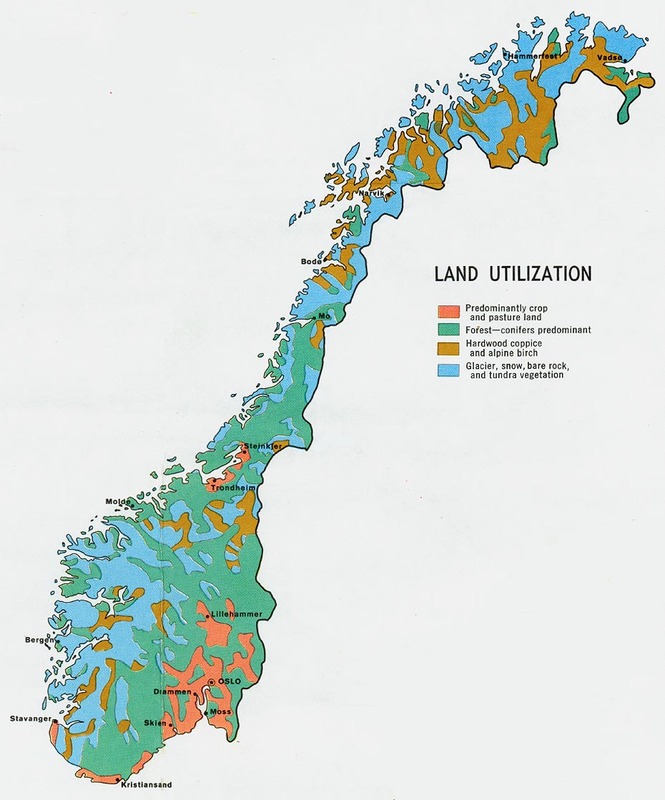 Norway had by far the worst situation when it came to farmland, it has much less of it than Sweden and Denmark as much of the country is mountains, forrest and alpine terrain. It is also exposed to the harsh weather of the Atlantic and the Norwegian sea while Sweden for example i sheltered from that weather by the Scandinavian mountains. Climate change and the Black Death also hit Norway hard and ended the earlier "Golden Age" of Norway. As with Sweden good and detailed sources are missing for the Danes as well until you get to the 16th Century, What we do know from the 16th Century is that the Danish King could raise large numbers of cavalry though he did not always do so in the wars with Sweden. For example in 1500 the Danish army had some 2000 noble cavalry in the Ditmarschen campaign but that number includes the cavalry from Schleswig and Holstein as well as the Danish nobility. A full muster of the cavalry of the Danish noble cavalry can only be found in 1552, the two earlies surviving documents from 1529 & 1535 are only partial as are the ones from 1540's. In 1552 the entire kingdom provided 725 men-at-arms and 618 "skytter" (lit. shooters, mounted crossbowmen or arquebusiers in 1/2 armour. In 1525 the "skytter" carried both demi-lance and crossbow) Documents from 1529 & 1535 suggest that in those years the number of men-at-arms was higher while there was slightly less "skytter". Over all numbers of cavalry was also higher in those years. When you and in noble cavalry that could be summoned from duchies of Schleswig & Holstein and the mercenary cavalry which could be hired the Danish king could raise a lot more cavalry than the Swedes. But it did not always do so as it was hard to suppply large numbers of cavalry in Sweden and the Swedish terrain meant that the Danes often chose to attack Stockholm directly by sea rather than trying to fight their way through Swedish forrestes while marching the long way by land. When Frederick II of Denmark raised a massive army of perhaps 25000 men to invade Sweden in 1563 the actual invasion force only got a short distance across the border because it was simply too large to be supplied inside Sweden. There was a reason for the apparent large contribution of Finland's cavalry in Swedish Musters? I know Sweden was trying expasionist policies in Novogorod, Baltic Lands, Russia and Finland even before the Vasas rose to power (though I don't know how much of Finland they had conquered by 15-16th centuries), but the only references I found regarding the nature of Finlands was that of boggy and deeply forest lands. The Swedes managed to lay the ground for extensive farmland and horse-breeding there? By the way, the Household Cavalry of the King was entirely composed of men-at-arms? You also mentioned the Danish King could afford a good quantity of mercenary cavalry, but did the Swedish King also made use of those besides using his household and feudal cavalry? In this same diary, Dolstein also made sketches of Swedish infantry fighting landsknechts and you can clearly see the chapeu-de-fer and the traditional Sword-Staff being used (the file you posted might perhaps be showing a swordstaff itself or at least a sword with an scandinavian handle). I don't see a reason for why these wouldn't be an swedish men-at-arms; also remembering he draws pictures of mounted crossbowmen as well, which was another sort of cavalry raised in Sweden. Thanks for the recommendation, I'll look after this work.